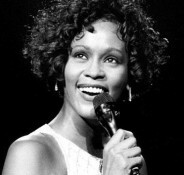 Since Whitney Houston’s sad, senseless death on February 11, I’ve heard her hit song “The Greatest Love of All” more times than I thought possible. She had an unbelievably beautiful voice, but the lyrics to that song always bothered me. Is “learning to love yourself” really the greatest love of all? Or has that philosophy led us to the point where people have a great deal of self-love that is based on–what, exactly? In medicine, do you need to earn self-esteem or are you entitled to it just because you’re you? Let’s look at medical education. The system certainly was harsher years ago. Attending physicians quizzed medical students and residents relentlessly, and spurred them to read more for the next day. Often, the morbidity and mortality conference was an exercise in humiliation for the hapless resident who had to present a complication. Not everyone thrived under those conditions, and certainly there were abuses, but the survivors came through with belief in themselves that was hard-won and grounded in proficiency and stamina. Today, however, faculty members are cautioned to use teaching methods that never threaten the self-esteem of their charges. Residents fill out their own evaluations of faculty, and residency review committees are not kind to any faculty member who is accused of belittling trainees. Certainly many effective teachers use praise more than criticism. An angry, frustrated or intimidated resident isn’t going to perform at his best. But what are we to do about the resident who really doesn’t seem to care, or who doesn’t seem to understand the real-life consequences of a mistake? I’m not talking about the technical errors that are the inevitable part of mastering a new procedure. If you’ve never caused a pneumothorax, you probably haven’t put in enough subclavian central lines; if you’ve never reached CSF with an epidural needle, you probably haven’t placed enough epidural catheters. Unless there is outright carelessness, these problems are the price of training, and there is no reason for rebuke. It’s different when the mistake is due to a resident who is clueless, inattentive, or hasn’t bothered to learn the subject matter. Medical mistakes don’t fall into the same category as a wrong order at Starbucks–they have consequences, and you can hurt someone. Apparently the resident’s self-esteem remained untarnished. The senior anesthesiologist told me later that if he had done such a thing, he would never have had the nerve to look his attending in the eye again, let alone ask for a letter of recommendation. I completely agree. Whenever a medical error is made today, there’s an immediate cry for a root cause analysis. The thinking is that the error must have been made due to a flaw in the system, and we need to fix the system rather than blame the individual. This is a sound philosophy when it comes to practical solutions like making medication vials look different from each other, or standardizing concentrations of drugs. However, there comes a point when we have to acknowledge that people make mistakes all by themselves, through their own fault and not because of system flaws. Blaming the system may save a resident’s self-esteem, but is that for the best? Shouldn’t any physician feel very sorry after making a serious error that exposes a patient to harm, and resolve to do everything possible to avoid such an error in the future? Uncritical self-love is a way of never saying you screwed up or need to do better. From the point of view of a patient whose life depends on you, that can’t be the greatest love of all. I love your writing! You are a great role model. I think you have a great point. It is more than ok to make mistakes, but it is very important to learn from them. I’m a second year OB resident. I’m very grateful for the mess ups I’ve made, and some were pretty bad. I definitely can learn from your words, and will make my best effort to be as humble as possible. An excellent post that ties in what is currently in the public eye, Whitney Houston’s death and career, with a compelling issue in medicine and medical training. This is the gift of a truly talented writer. I recall a mistake I made, while working in a large hospital microbiology lab, entering a wrong computer code in a batch of tests that resulted in a patient receiving a medication that was unwarranted. I vividly recall the pain, humiliation and scrutiny from my supervisors and from my own self examination that this brought. I didn’t trust myself for a very long time after that. I attempted to examine a flaw in our process in the lab that had two similar computer codes that were one letter apart that played a role in my error. And I pushed for change in that code and in our system that would prevent that error from being made again. But I also embraced my mistake and acknowledged my role in it. I remember (with chills and nausea! ), an event early in my career as an anesthesiologist. I reached in the medication cart and picked up what I thought was Benadryl. At this particular surgery center, the Benadryl and Epinephrine were in virtually identical vials. I injected the medication, and fortunately looked again at the vial- Epi! I pinched off the IV tubing and flushed it all out with no ill effects to the patient, fortunately. Some people advocate that all drug vials should look alike – that way we would have to read the label! ?